If you're looking for something to do with your family and want to get away from the cabins for a while, do some sightseeing at nearby local attractions. There are places rich in culture in close proximity to Garden of the Gods which includes, but not limited to including family entertainment, natural wonders, trails, and places to dine. We are located only 45 miles from Metropolis, Illinois, home to the Superman Museum. Other places of interest close in proximity includes Southern Illinois Wine Trails, and Cave in Rock State Park. If you need to make a quick run to get gas or groceries, stop by the Fuel Mart, which is only 5 miles from Hilltop. The explorer in you longs for beautiful scenery and mystifying natural wonders. Satisfy your adventurous spirit and visit some nearby breathtaking places like the beautiful Shawnee National Forest. Take in the pure country air on a horseback ride along the Pounds Hollow Lake. 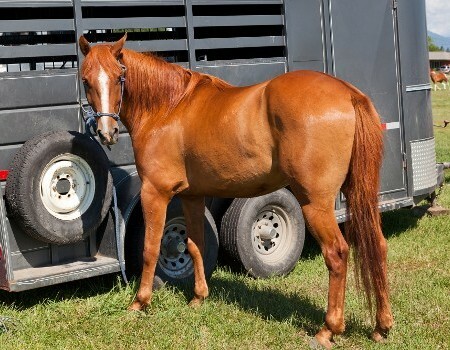 In fact, Herod, Illinois is host to the 9-Day Trail Ride every last week of July. Each of these locales is less than 20 miles away from our cabins. Take some stunning pictures at the Garden of the Gods and go hiking through the Historic Cave-in-Rock. You'll create memories that you'll carry with you throughout your lifetime.